TESOL Planet – TESOL Teaching Overseas with TESOL Teaching Jobs, TESOL Training Courses, TESOL Resources and more for the TESOL teaching community! - 10 sites for the price of one! TESOL Planet provides the TESOL Teaching community with current TESOL teaching jobs, TESOL Teacher Training, and TESOL Information for those English speaking teachers looking to Teach English as a Second Language around the world. TESOL planet is here to help all TESOL teachers make informed choices about their TESOL teaching career. 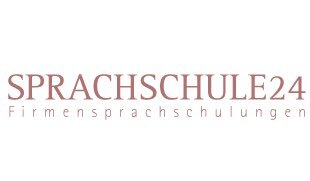 Sprachschule-24 will help the employees of your company with their language skills, but also with their intercultural understanding. That way, business deals and conversations of any type are facilitated. How Can We Determine the Success of Training Programs? How to save for the future on an English teacher's salary. So, how do you become a TESOL teacher? The answers are many and various and range from strapping on a backpack and buying a plane ticket to an exotic destination, or choosing a TESOL Training course to better prepare, all the way through to taking a Master's degree. Regardless of your route, you will learn that TESOL teaching is a practical skill that is continually improved as you teach. As such, you will find that no matter how in-depth your TESOL training was, you will feel pretty overwhelmed when you encounter your first real learners. Don't panic, you'll quickly get better with teaching practice. And don’t get discouraged because even these most experienced TESOL teachers have bad days. The key to effective TESOL teaching is to develop an awareness of how a TESOL lesson is being received. Is the topic too easy or too difficult? Are the students interested or bored? You should have some sort of plan for every TESOL lesson. In other words, have a plan as to what you want to achieve and what you want your students to take away from their TESOL lesson. However, if a lesson isn't working, don't be afraid to improvise according to the needs of the moment. It is always a good idea to have a backup plan in case things don’t go as expected! I can't over-emphasize that TESOL teaching is something you learn by doing. However, TESOL teacher training courses are useful, as they will introduce you to a range of techniques that you can employ to help your English language learners succeed. A good TESOL course will also teach you about the more technical aspects of language such as rules of grammar, phonetics etc. In other words, all the things we do as native English speakers without thinking, but can't necessarily explain why its done that way. If you've completed a recognized TESOL Training Course it will make you much more marketable to potential employers and private students, simply by showing you're serious about TESOL teaching. There are many TESOL training options out there, both online and face-to-face. Pick the teacher training option that is best for you. TESOL courses which include actual teaching practice with real TESOL students is a benefit. This is helpful because when you graduate you are not only qualified but experienced too. TESOL teachers have several TESOL employment options. They can be employed by a school, teach privately or - as many do - combine the two. There are different kinds of TESOL schools. These include private English schools, schools and colleges in mainstream education. When applying for TESOL jobs, try to sell yourself as much as possible with your resume. Don't only state your TESOL qualifications and experience, but include absolutely anything that may be relevant, such as previous training experience, private tutoring, or teaching assistant. Be prepared to do some sample teaching, or even give a free, observed, trial lesson when you attend a TESOL school for interview. Teaching English should be fun. As an English teacher you have the opportunity to travel anywhere, giving back to the people you meet. You will meet many interesting and wonderful people (and a few difficult ones too). Language is learned best when the learners are having fun, and learners are most likely to have fun when the teacher is enjoying what they do. Enjoy yourself and your TESOL Planet adventure!